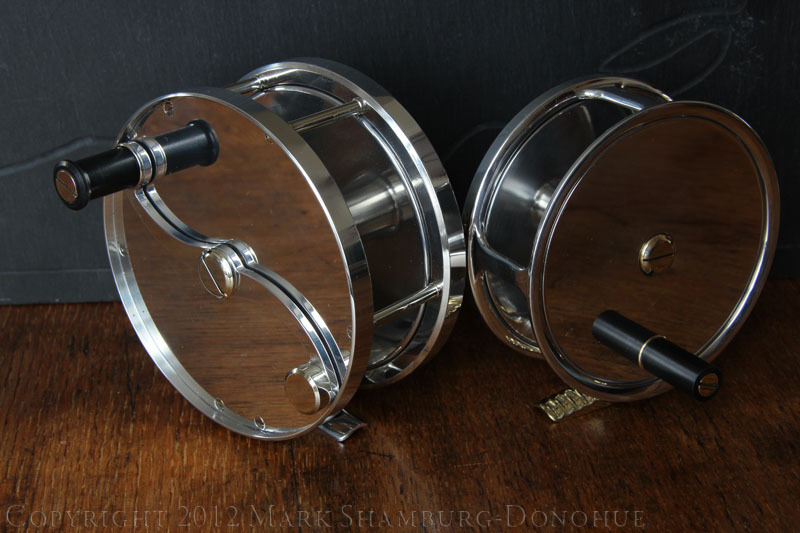 The Confluence S-Handle Reel is available in 4 four sizes: 3 3/4", 3 3/4" Double Wide (aka "The St. James"), 4" and 4 1/4". 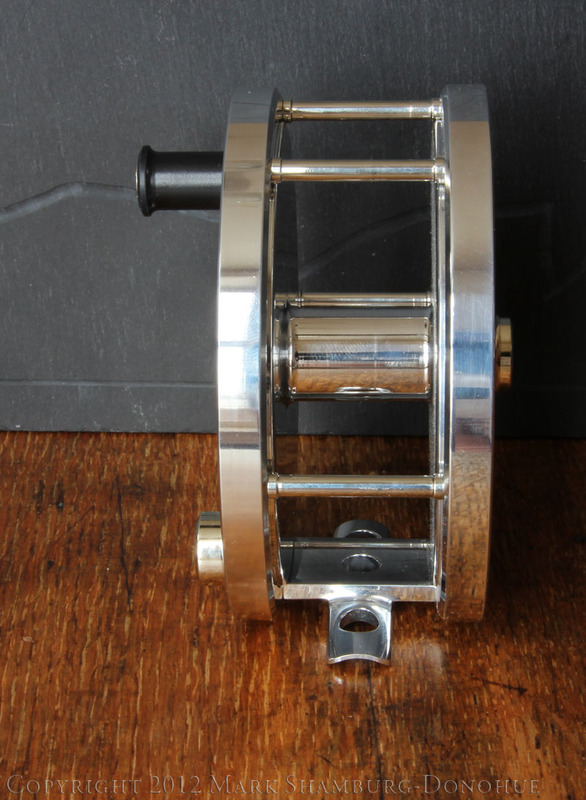 Spool Width - 1 1/8"
Spool Width - 1 5/8"
Designed to balance bamboo spey rods and long graphite spey rods requiring large line capacities. 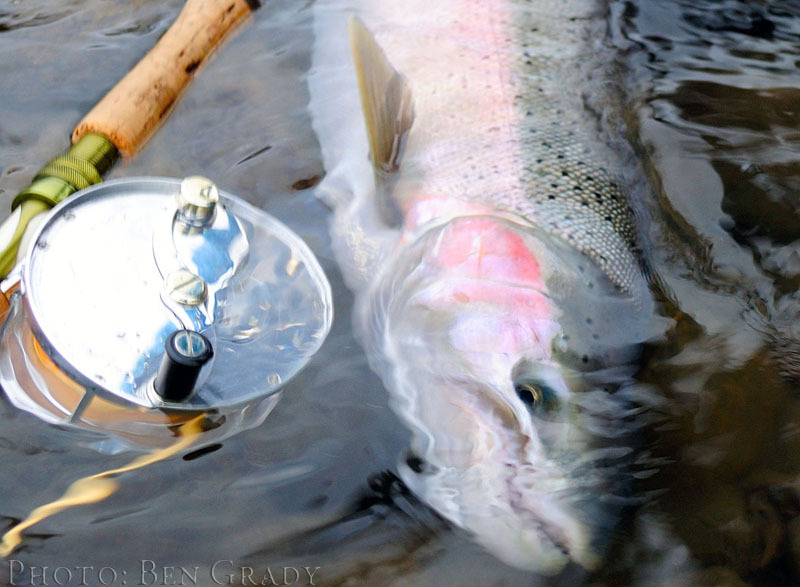 Fishing the Alta or Thompson Rivers? 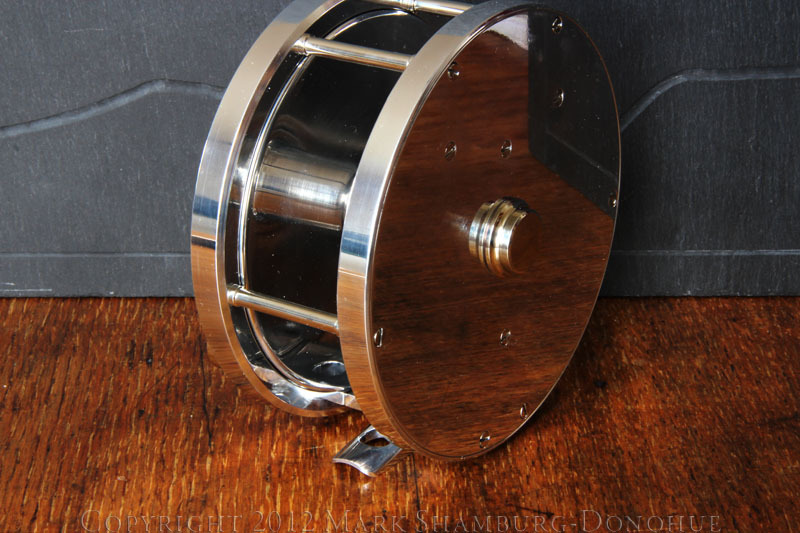 Then you'll appreciate a reel that will not only hold a lot of line, but also balance your long rods. 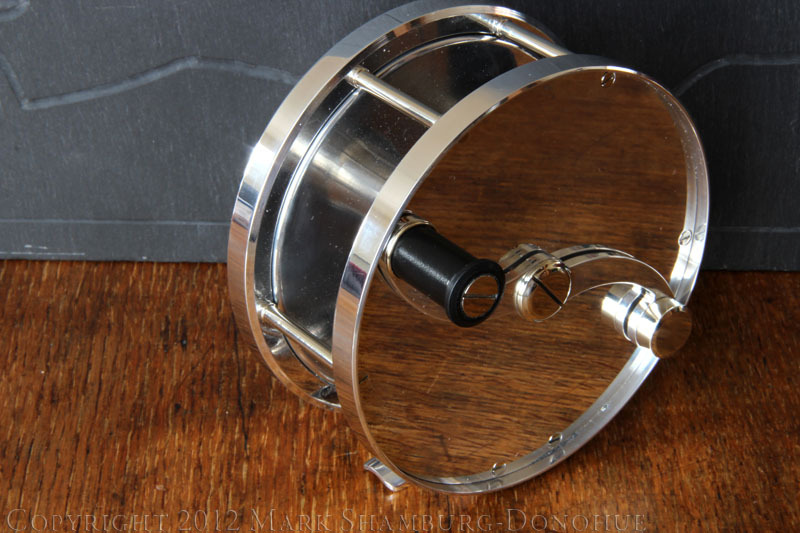 Each Confluence S-Handle Reel is custom made to order. 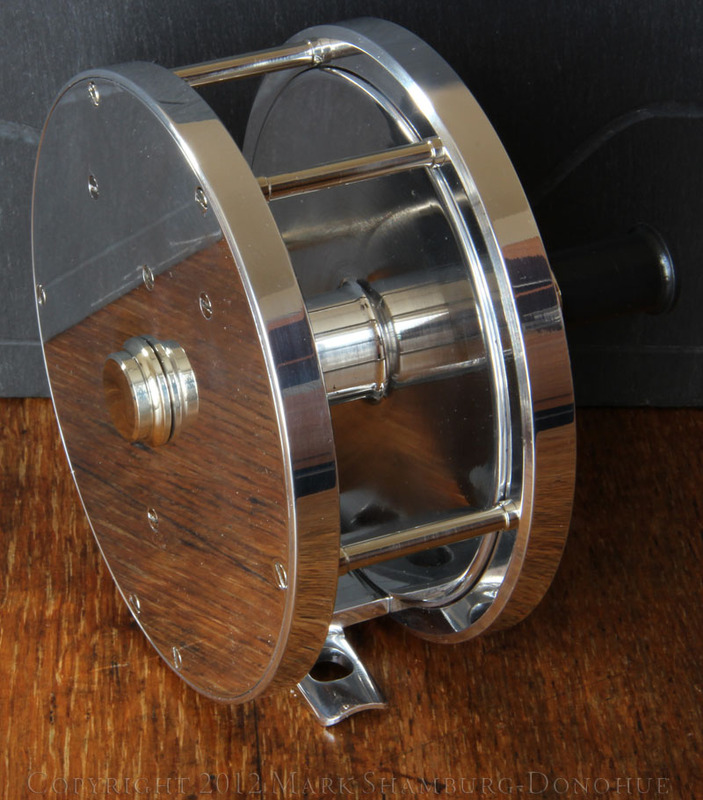 Each reel is individually stamped with a unique serial number. 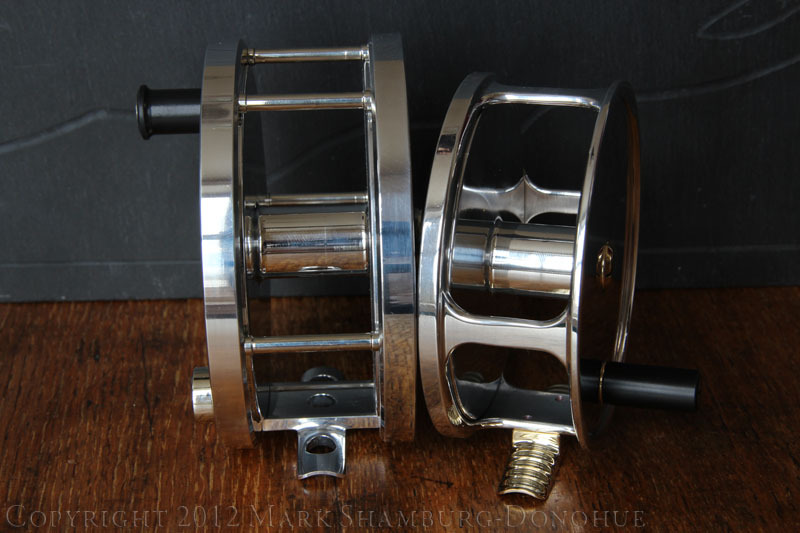 Please contact the maker for information on current delivery time.